I divided the first act of Nita into four parts (not chapters, we talked about this, remember?) 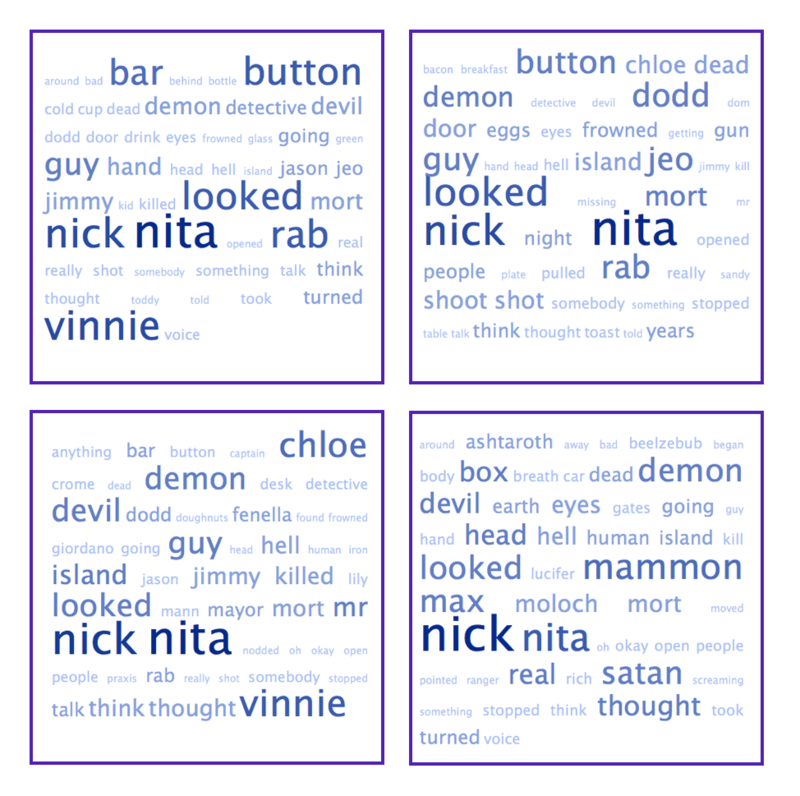 and then Caryn suggested TagCrowd, and I ran all four parts through that to look at word frequency. That was illuminating.